THOUSAND OAKS, Calif. – Westlake Action Team members organized a 5K race, “Action Run”, to support their efforts to bring disadvantaged youth to their first-ever Dodgers game in June. 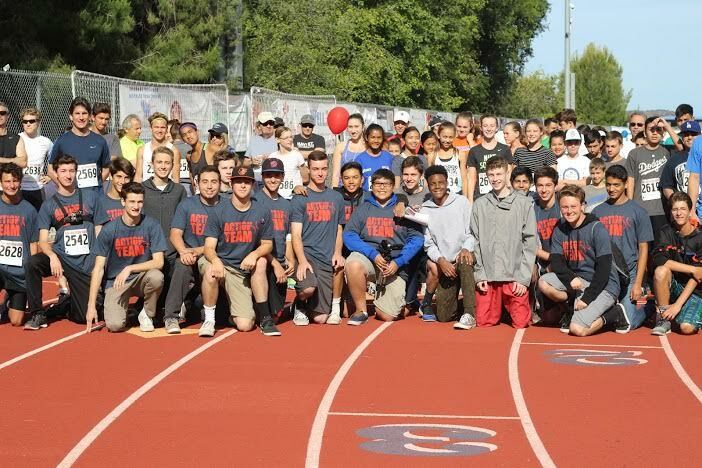 Runners traversed an intricate course around the Westlake High School track and through the campus on April 24 Runners received a complimentary Action Run pin and were treated to an Italian ice courtesy of Chris Fick, Robert Fick’s brother, at the conclusion of the race. 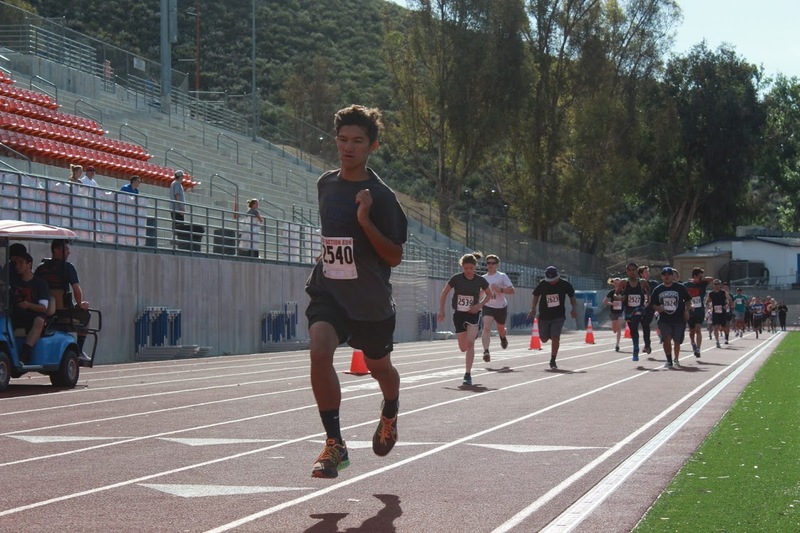 Josh Eis, Action Team member and Westlake Track and Field athlete, was one of more than 60 runners to participate in Action Run. “I had a great time, not only because I love to run, but because it was for a good cause,” he said. “It was a very fun experience and I would totally recommend it.“ Eis came in fourth place behind the three top finishers — Luke Calubayan, Bryce De Los Reyes, and Graham Peeples. Collectively, Action Run raised a total $3,114. The funds are being used to take disadvantaged kids from Casa Pacifica, Many Mansions and Area Housing Authority of Ventura County to the Brewers-Dodgers game on June 16. 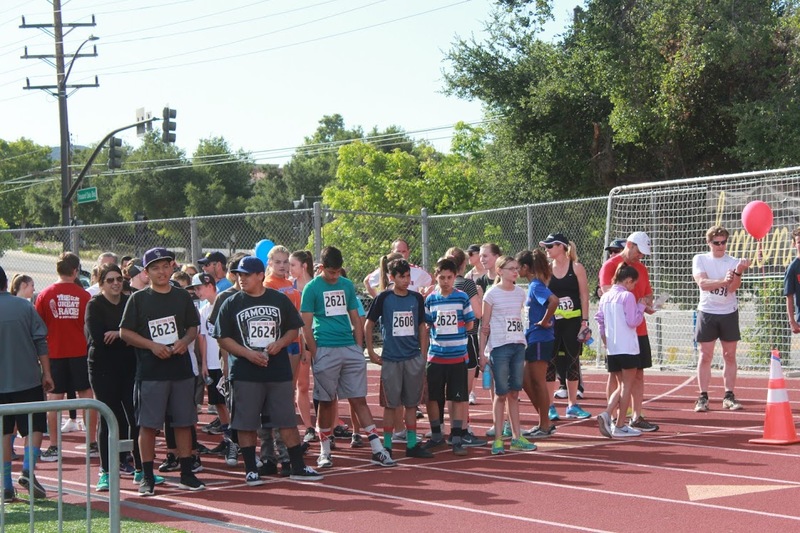 Kids, teens, and families from Area Housing Authority of Ventura County, a non-profit agency that helps provide housing for low-income families, also participated in Action Run. “The children had so much fun… they really enjoyed Action Run,” said Alejandra Toledo, the President Services Coordinator of Area Housing. In addition to taking the kids to their first Dodgers game this summer, Westlake Action Team Captains are also planning daily activities and trips for the kids this summer. The race was a lot of work, but it was certainly worth it. Westlake Action Team Captains and members represented the organization well, as all 49 members took part in working the event by supplying water, directing runners, controlling parking, announcing the race, working the timing tent and setting up the course. “I was excited to see all of our hard work finally come together and see the support we received from our community,” Action Team member Dante Basile said. Many members and Captains spent the entire weekend preparing, some arriving as early as 5 am on race day to set up. Action Run would not have been possible without the help of Chad Scott, Westlake Track and Field coach and math teacher, as he took time out of his busy schedule to time the runners, work the race, and provide race bibs. Westlake Action Team would like to give a big thanks to Kohl’s for their $500 sponsorship and for providing volunteers to help with Action Run. Additionally, the cooperation of the Conejo Valley Unified School District and Westlake High School was crucial in allowing Action Run to take place on school property. See what other Action Teams are up to by visiting www.ActionTeam.org!